A bit of catching up to do! Last month I visited the Fitzwilliam Museum in Cambridge where I saw several exhibitions. First up was ‘MOONSTRIPS: Eduardo Paolozzi and the printed collage 1965-72′ which consisted of screenprints, collages and photolithographs by Paolozzi. Next I visited the print room where ‘Modern Heroism: Printmaking and the legacy of Napoleon Bonaparte’ was on display. This exhibition included lithographs which both celebrated and ridiculed Napoleon, as well as prints illustrating the time period. I also saw two pieces of sculpture, the first being the Rothschild bronzes, a pair of bronzes believed to be made by Michelangelo and a maquette of Antony Gormley’s ‘Angel of The North’. Unfortunately because of my late blog posting most of these exhibitions have now closed. However, ‘A Michelangelo Discovery’ is on display until 9th August. The ‘Angel of The North’ maquette may also still be on display. A couple of months ago I visited The Polar Museum in Cambridge. Admittedly, I did not think I would be that interested in a museum about polar exploration, but I was very wrong! I did the audio tour, which I think it made more enjoyable and would recommend doing it if you have the time. The museum has hundreds of artifacts from several historic polar expeditions, the main focus being on Captain Scott’s journey. Stand out pieces on display include Captain Oates’ sleeping bag and the letters the men wrote when they knew the end was near. One of my personal highlights are the items of food, including the large sledging biscuits and pemmican. Especially with the audio tour, you get a good sense of what it must have been like at the time in those conditions and the sadness towards the end of Scott’s expedition. Another thing you get a sense of is what life is like in the Arctic, including the modern day. I was surprised and happy to find printmaking on display, along with other Inuit artworks and carvings. The above picture, ‘Boy Feeding Birds’ is one of the prints I saw. It is created using a stonecut technique. This was the first time I had really looked at Inuit art, I found the simplicity and honesty of some of the pieces refreshing. Being a fairly small museum there is only so much art on display, but the collection is available to view online here. The Polar Museum is definitely worth a visit, even if you think it isn’t for you, you will be surprised! 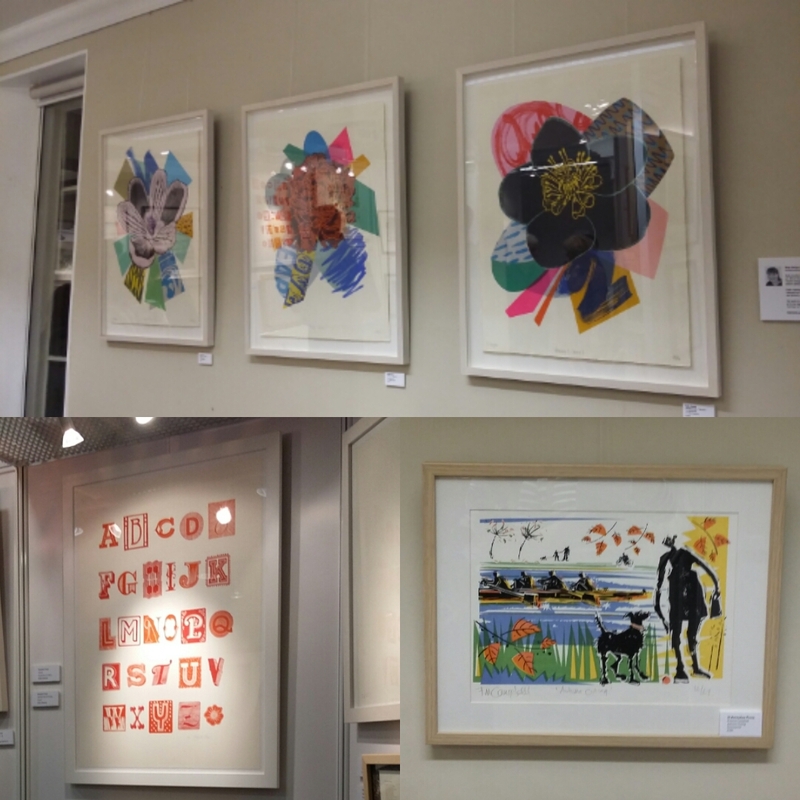 During the weekend I also visited the Cambridge Original Printmakers exhibition. 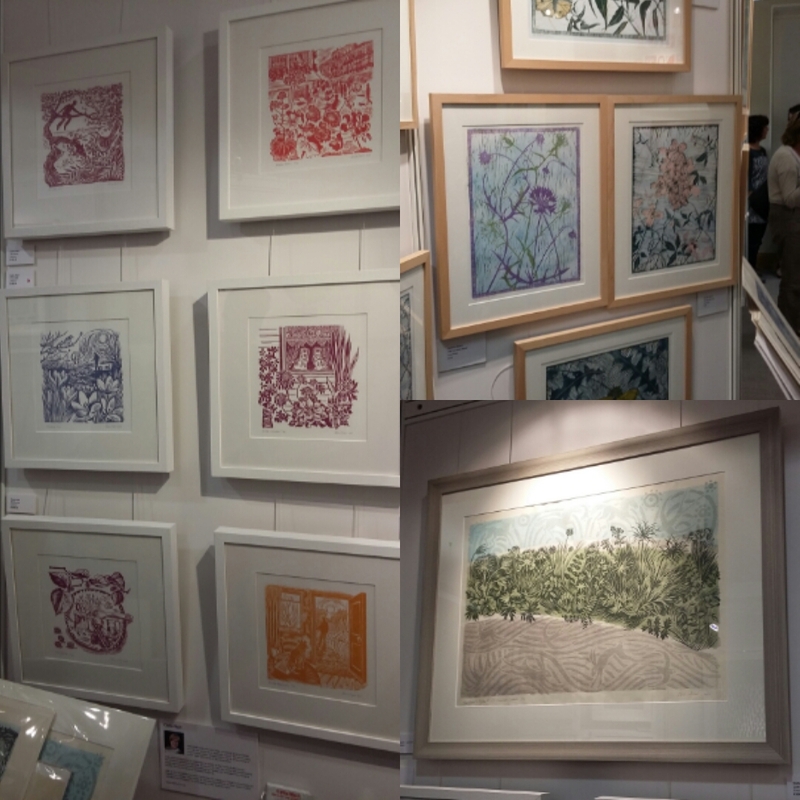 The exhibition includes over 40 local printmakers, both established and up and coming. The event also hosts guest speakers and printmaking demonstrations, for example I saw a demonstration of Chinese Woodblock Printing by St. Barnabas Press. 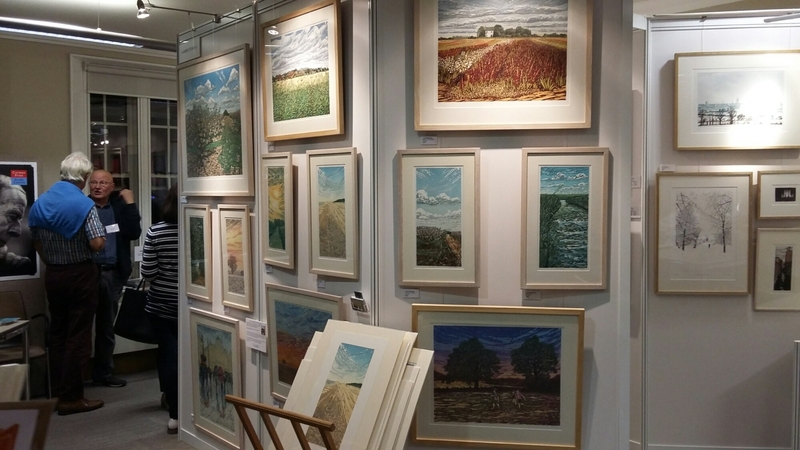 Highlights from the exhibition include, Andy English, Geri Waddington, Louise Stebbing, Kate Heiss, Nina Sage, John Douglas Piper, Tania Scott Durrant and many more! The exhibition runs until the 5th October 2014, it’s a great opportunity to learn more about printmaking and even buy original prints!